Money isn’t the only thing that makes the world go ‘round. 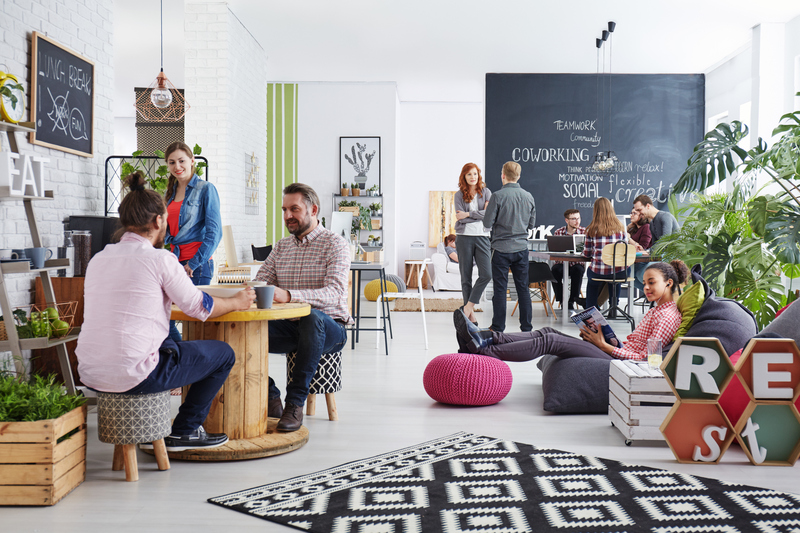 The concept of on-the-job perks has changed rapidly through the years, thanks in part to progressive companies thinking creatively when it comes to employment benefits. Although health insurance and a 401k are still highly valued assets, everything from flexible hours and workspaces to on-site fitness facilities is taken into consideration when job shopping these days. According to an online survey conducted by Glassdoor, 3 out of 5 employees listed benefits and perks as one of their top considerations when searching for a new job. In order to stay competitive, employers need to add value to their offers by focusing on things like flexibility and convenience factors for work/life balance. Not only does this line of thinking attract higher quality talent, it can increase employee happiness and inspire a sense of loyalty, reducing turnover rates. Making your employees’ lives easier will ultimately improve the bottom line of your business. Whether it’s where, when, or how they work, employees appreciate breaking out of the traditional environment. Student Loan Hero allows remote work, with a stipend for technology and up to $500 a month towards a co-working space in lieu of a home office. They also offer unlimited vacation time, which is a relatively new, and popular, trend in employment. Family life will always be more important than business, and employers are starting to recognize and honor this distinction. Netflix has a particularly generous program for new parents that allows salaried employees in its streaming division to take up to a year off after the birth or adoption of a child. Other life-enhancing perks offered by companies include on-site child care, car washes, dry cleaning, and free meals to make life a little easier at work and home. Although contributions towards health insurance are obviously invaluable, there are other ways to support the health and well-being of employees, including everything from on-site medical facilities and exercise options to in-house chefs and healthy meals. Outdoor apparel company Patagonia offers on-site hiking trails, bikes, and yoga classes, while tech companies Twitter and Asana provide in-house catered meals with healthy, organic options. Fun and relaxation are important and can actually inspire a better work ethic. From travel stipends to relaxation stations full of arcade games and ping pong tables, the sky’s the limit when it comes to having fun. Have a murder mystery night, offer event tickets, host a happy hour on Fridays – all of the above can be a catalyst for company-wide camaraderie that will carry into the work week. Regardless of the perks you put in place for your employees, creating an environment in which your team feels valued and respected should be a top priority. Provide workers with a sense of purpose and pride about where they work and what they do. This can cost very little in terms of overhead, but your thoughtfulness will be repaid many times over in loyalty and productivity, and that’s a benefit that everyone can appreciate. For more than 25 years, Bakers Pride has delivered delicious fresh-baked goods daily in the St Louis area. If you’re looking to offer your employees a sweet perk, you can count on us for the highest quality products and on-time delivery that will bring a smile to everyone’s face.